COOPER & KIRK - SWINDON, THIS IS SWINDON. Cooper & Kirk were listed in the 1895 Kelly's Trade Directory of Wiltshire as only trading in Wroughton with no mention of a Swindon location. However, the bottle shown here clearly shows Cambria Works, Swindon. It is therefore thought that they operated from the Cambria Bridge area of Swindon, in the heart of the local Welsh population who worked for the GWR. KIRK also had a business around this time but it is not known which came first, KIRK or Cooper & Kirk. 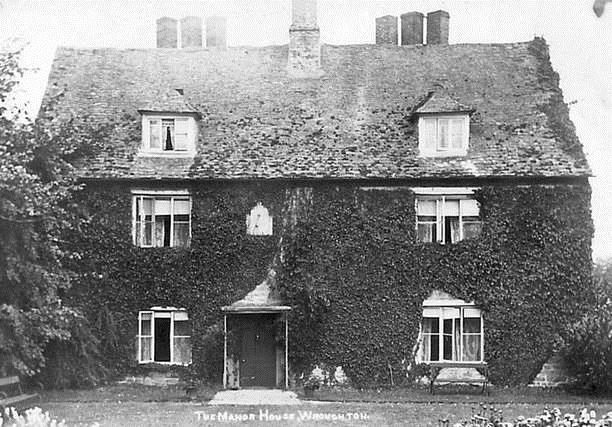 In 1895 Samuel and Emily are living at the old Elizabethan Manor House in Wroughton but their business is failing. The horses from their business are sold at auction. Ten years later in the 1911 census Samuel, Emily and their two daughters are in the same house but Emily's parents have moved out. Samuel is now a china Antique Dealer. From 1914 to 1923 he is listed as an Antique Furniture dealer working at 20 Walcot Street, Bath with Emily now a Confectioner at 5 Walcot Street, Bath. Samuel William Kirk died in Somerset on 23rd Sept 1923 aged just 55.